The Only Tour that Actually Lets you Swim with Dolphins Out in the Ocean! When planning your Caribbean vacation, there are a number of destinations that offer dolphin encounters, but none like this one. 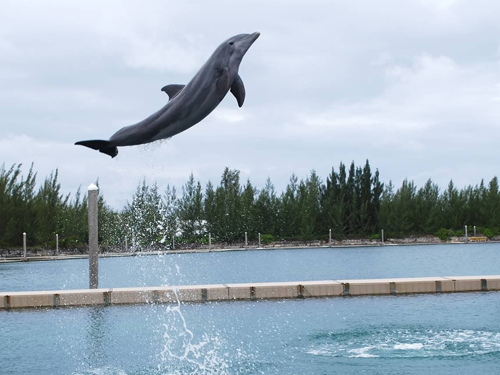 Our site is unique in that you get to watch and even swim with the bottlenose dolphins in their natural habitat the Atlantic Ocean. 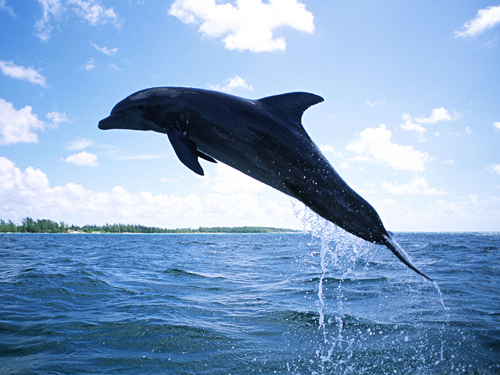 The adventure begins on the southern coast of Grand Bahama Island at our dolphin sanctuary. As we leave the lagoon aboard ship, the dolphins will follow along with us. 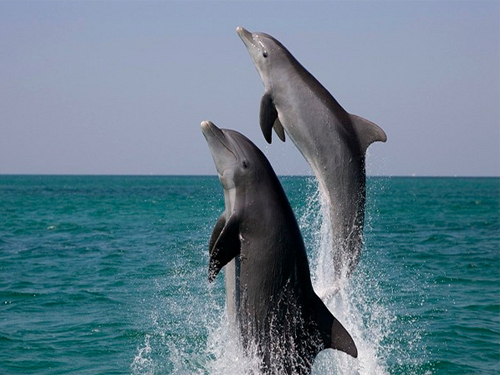 These playful fellows will entertain you with their games and acrobatic feats as we travel out to the open waters. Their speed and their grace will hold you spellbound. 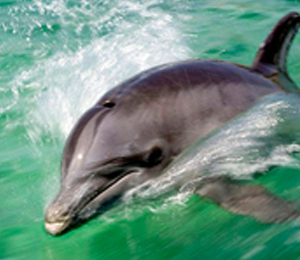 The bottlenose dolphin is the most well known of the dolphin family. In the wild, they live in groups of 10 to 30 dolphins known as pods. They enjoy being together, and in the wild, they will work as a team to catch food. Our professional guides will teach you how the mammals talk to each other using squeaks, whistles, and even body language as they slap their tails on the surface of the water and leap into the air. You will then learn how the trainers communicate with the dolphins. They will teach you the signals that you can try right there on the boat to coax tricks out of the dolphins yourself, including tail stands, flips, and leaps. Once we are out in open water, you will get to do more than talk to the dolphins. You will swim with them. Once in the water, you can explore their natural habitat. You can interact with them by giving them hugs and letting them come up and kiss you on the cheek. This is bound to be an adventure the entire family will enjoy, creating memories for years to come. Do you have to be a certified diver to participate in this activity? No, you do not have to be a certified diver in order to partcipate in this actvity. 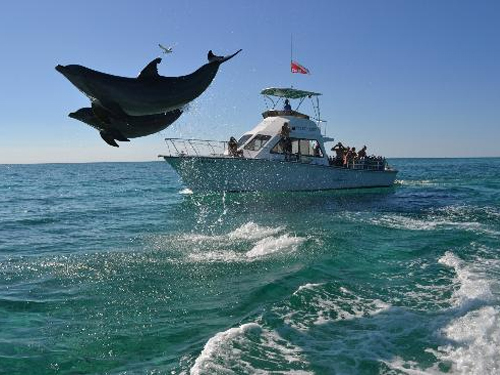 I have been to the Bahamas many times, but UNEXSO Open Ocean Dolphin Experience is one of my favorite trips! It includes everything that everyone should do here. As a Bahamas veteran, I can say only the best about this experience!